Visit the Redskins' official website for your daily fix of team information. 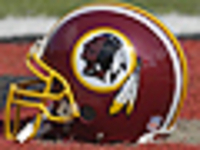 The Washington Redskins signed defensive end Matt Ioannidis to a three-year extension on Thursday to secure the future of their defensive front. Previously scheduled to visit the Washington Redskins this week, Oklahoma QB Kyler Murray no longer has plans to make the trip, NFL Network's Steve Wyche reported. While the Cardinals are expected to deal Josh Rosen and draft Kyler Murray, NFL Network's Mike Garafolo reports the Redskins, who are in the QB market, are not actively seeking a trade for Rosen. Duke quarterback Daniel Jones and Northwestern signal-caller Clayton Thorson are meeting with Washington, following behind Dwayne Haskins, Drew Lock and Jarrett Stidham. Dwayne Haskins is on the road this week. The Ohio State quarterback is slated to visit the Washington Redskins and Denver Broncos, a source told NFL Network Insider Ian Rapoport on Sunday. Wide receiver Kenny Britt is scheduled to visit the Washington Redskins on Monday, according to NFL Network Insider Ian Rapoport. Here are other free-agent news we're monitoring on Monday. Washington coach Jay Gruden believes Josh Norman has been good, but not the best and he needs his high-priced corner to showcase "superstar status." Adrian Peterson re-signed with the Redskins on a two-year deal. Despite his historic 2018 season, becoming the oldest 1,000-yard rusher, Peterson is eager build off last year's success. West Virginia's Will Grier had two separate dinner meetings with the Carolina Panthers and the Washington Redskins. The Panthers have not drafted a QB since selecting Cam Newton in 2011. A week after being reinstated, veteran cornerback Dominique Rodgers-Cromartie has signed with the Redskins, the team announced Friday. DRC briefly retired five months ago while playing for the Raiders. No one has worn No. 21 for the Washington Redskins since the untimely passing of Sean Taylor, but newly signed S Landon Collins would be honored to represent the man he idolized as a kid. AD is staying in D.C. The Redskins are re-signing veteran RB Adrian Peterson to a two-year, $8 million deal, sources told NFL Network Insider Ian Rapoport and NFL Network's Mike Garafolo. The Redskins are releasing veteran linebacker Zach Brown. Washington attempted to shop Brown, with multiple teams expressing interest, but the Redskins failed to find an acceptable deal. Landon Collins is staying in the NFC East. The former New York Giants safety is signing with the Washington Redskins on a six-year, $84 million deal, NFL Network Insider Ian Rapoport reported. Redskins running back Derrius Guice lost his rookie season to a torn ACL. He's doesn't have a definitive timetable for when he'll return to the field but is encouraged by his progress in rehab. Washington senior vice president of player personnel Doug Williams isn't ready to dispel hopes of quarterback Alex Smith playing for the Redskins in the upcoming season. 4/18 Josh Woodrum (QB) Free Agent Signing (free agent signing). 3/19 Brian Quick (WR) Free Agent Signing (free agent signing). 3/19 Ereck Flowers (OT) Unrestricted Free Agent Signing (unrestricted free agent signing). 3/19 Zac Kerin (OG) Unrestricted Free Agent Signing (unrestricted free agent signing). Jay Gruden was named the 29th head coach in Washington Redskins history on Thursday, Jan. 9, 2014. This is his first NFL head coaching job. Gruden, 46, spent the last three seasons as offensive coordinator for the Cincinnati Bengals. In his tenure in Cincinnati from 2011-13, the Bengals averaged 10 wins a season, making three consecutive playoff appearances and earning an AFC North championship in 2013. Gruden was tasked with the development of quarterback Andy Dalton, a 2011 second-round pick. In three seasons together, Gruden helped Dalton to a 30-18 regular season record as a starter (.625), as Dalton's 30 wins in that time frame ranked tied for fifth-most among NFL quarterbacks. Daltonâ€™s 80 passing touchdowns rank third-most in NFL history for a quarterback in his first three seasons, trailing only Dan Marino (98) and Peyton Manning (85). Prior to joining the Bengals, Gruden served two years with the Florida Tuskers of the United Football League from 2009-10. In 2009, Gruden served as offensive coordinator under current Redskins defensive coordinator Jim Haslett as the Tuskers compiled a 6-0 regular season record and earned a UFL championship game berth. In 2010, he assumed the roles of head coach and general manager and led the Tuskers to their second consecutive championship game appearance. Gruden coached for seven seasons (2002-08) with the Tampa Bay Buccaneers, earning a Super Bowl championship ring as an offensive assistant in 2002. There he worked under his brother, Jon, then the Bucs' head coach, and current Redskins Executive Vice President/General Manager Bruce Allen, the Bucs' general manager from 2004-08. The group guided the Buccaneers to the team's first league championship, a 48-21 victory in Super Bowl XXXVII. Gruden also ranks among the most outstanding players and coaches in the history of the Arena Football League, having won six combined league championships -- four as a quarterback and two as a head coach. Gruden played quarterback (2002-03) and served as head coach (2004-08) of the AFLâ€™s Orlando Predators, all while simultaneously working as an offensive assistant with the Buccaneers. In all, Gruden served as head coach of the Predators for nine seasons (1998-2001 and 2004-08), leading the Predators to four championship game appearances and two league titles. During a two-year hiatus from coaching the Predators in 2002-03, he returned to the playing field as Orlando's quarterback, leading the Predators to playoff appearances in both seasons. Gruden played quarterback for four seasons for former Redskins draft pick Howard Schnellenberger at the University of Louisville (1985-88) and was a two-time team MVP. Gruden was born March 4, 1967 in Tiffin, Ohio. He and his wife, Sherry, have three sons -- J.J., Joey and Jack.